Cameron Horsman struck back on Sunday at Silverstone, taking victory in Race 2 to equal Saturday winner Scott Ogden on points at the top of the table and make an early statement of intent for 2019. Lessons were learned after leading much of Race 1 and taking a podium on Saturday, with Horsman pitching it to perfection to defend his lead in Race 2 in the final section of the final lap – but it was as close as ever and victory was his by virtue of just 0.048 seconds. Jack Hart was the man menacing just behind, with Ogden completing the podium after once again proving a frontrunner throughout. It was Ogden who took the holeshot from pole, once again seeming to get a slightly slower start than Fenton Seabright alongside him on the grid but ultimately emerging ahead and taking an early lead. Also similarly to Race 1, it was a freight train at the front as the veterans were able to pull a gap on the rookies and the squabble began. There was also some additional drama at the front as Charlie Atkins, starting on Row 2, jumped the start, and he had to head in for a ride through penalty. That left a front group of 12 becoming 11, with Race 1 podium man Brian Hart then crashing out – rider ok – and Elliott Pinson pulling into the pits to make it a front freight train of nine. And Horsman was once again eager to lead after making good progress to the front once again, with Seabright the man slipping down in the group slightly – and Ogden and Jack Hart getting themselves into position as the final few laps dawned. It was Horsman, Hart, Ogden over the line for the final lap and Hart attacked immediately into Turn 1, before Horsman hit back at the first opportunity. Jack Nixon then looked like he was going to try a multi-buy manoeuvre into Brooklands, but he couldn’t quite make it stick as Hart was able to stay ahead and Horsman hung it round the outside to hang on to the lead. Ultimately, he’d manage to do just that to the line – but Hart was tucked in close behind round the final corner and it was incredibly close as the two blasted towards the chequered flag. 0.048 separated them over the line, just in favour of Horsman as he shut the door to avoid losing out to another pickpocket move on Sunday. Just behind that duel for the win, Ogden had been able to get past Nixon and secure third, although the points haul for fourth is a valuable one for Nixon after he failed to score in Race 1. Charlie Farrer completed the top five to put him third overall in the standings by virtue of his consistency, just ahead of Irishman Rhys Irwin both on track in Race 2 and in the Championship. Harvey Claridge made some gains on his Race 1 to take P7 on Sunday, beating Fenton Seabright after he faded slightly towards the end. Scott Swann was a few tenths off by the flag but took eighth, the last of the lead group. Jamie Davis took P10, ahead of Atkins’ solid comeback after his ride through and jump start as he came home P11. In the fight for top rookie it was once again Torin Collins who took top honours, taking twelfth and some solid points as he beat Corey Tinker by less than a tenth. Jamie Lyons wasn’t too far off the two either and had been ahead at times during the race, and the second Irishman in the field took P14. Harry Leigh completed the points. So in the points standings, it’s perfect parity at the top after Round 1 with Ogden and Horsman both on 41 – but the former the Championship leader thanks to his pole position. Farrer is third and Irwin fourth, with Brian Hart leading Jack Hart just behind as both Harts had a DNF and a P2 across the course of the weekend. How will it change next time out? Another thriller of a weekend races round Donington Park at the end of May, with another 50 points up for grabs in Round 2. The post Cameron Horsman strikes back in BTC Race 2 at Silverstone appeared first on MotoGP Brits. MotoGP’s aero war is raging, with Aprilia the latest to fit a swingarm device, so what’s next for the rules? Should aero stay or should it go? These words you are reading are not part of a MotoGP article, they are the opening sentences of the first chapter of War and Peace by Leo Tolstoy. The time has come to fire up for another season of the British Talent Cup after a two-day test at Valencia, with the class of 2019 ready to go and raring to race. 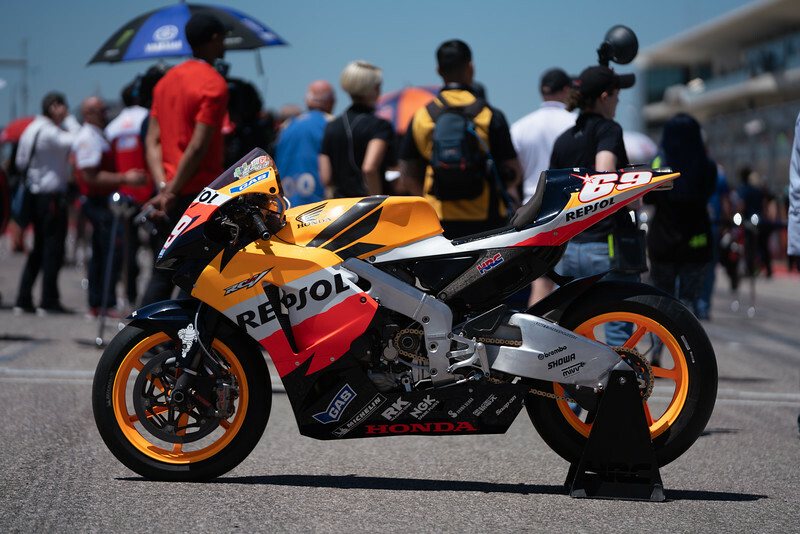 Silverstone is the venue for Round 1 and the BTC share the first stage of the season with the British Superbike championship, for whom the weekend is also a season opener – sure to ensure an event to remember. 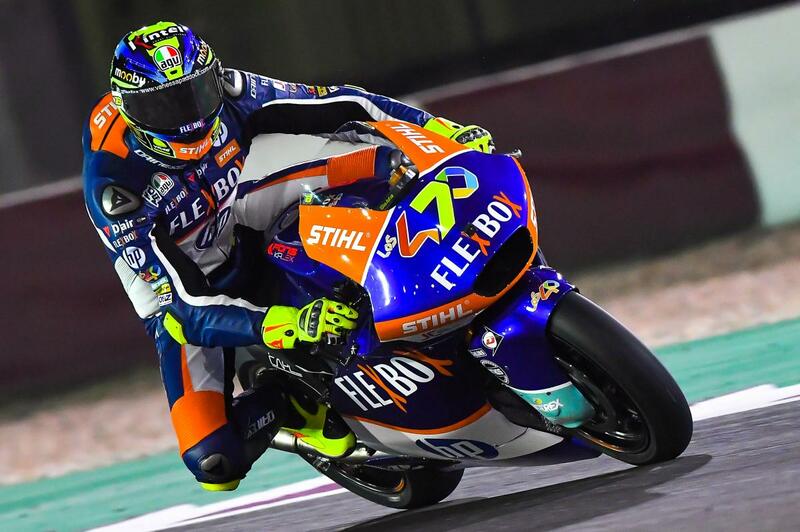 It was Scott Ogden who set the pace in testing ahead of Cameron Horsman, but the gap between the two was only 0.013 and Valencia is a very different venue to the fast behemoth of Silverstone. So despite the top ten in testing all proving veterans, there’s more than time for the timesheets to get a shake-up back on UK soil. There are also practice sessions and qualifying before the lights go out, giving the rookies a little more time to adjust. In addition, Scott Swann was the returning rider who had the best finish at Silverstone in 2018, taking fourth as the podium was locked out by riders who’ve moved on to pastures new – and it was only one race on the international layout the grid had to try and tame the circuit as Race 2 was cancelled due to track conditions. That could play into the hands of the rookies as it means their rivals have that little bit less experience, and this time around it’s the national layout. Testing is one thing, but the long expanse of Silverstone at full racing speed is quite another. Tune in for the first British Talent Cup races of the season on the 20th and 21st April, with Race 1 underway at 14:00 on Saturday and Race 2 at 10:30 on Sunday. The post British Talent Cup all set for Silverstone for season opener appeared first on MotoGP Brits. 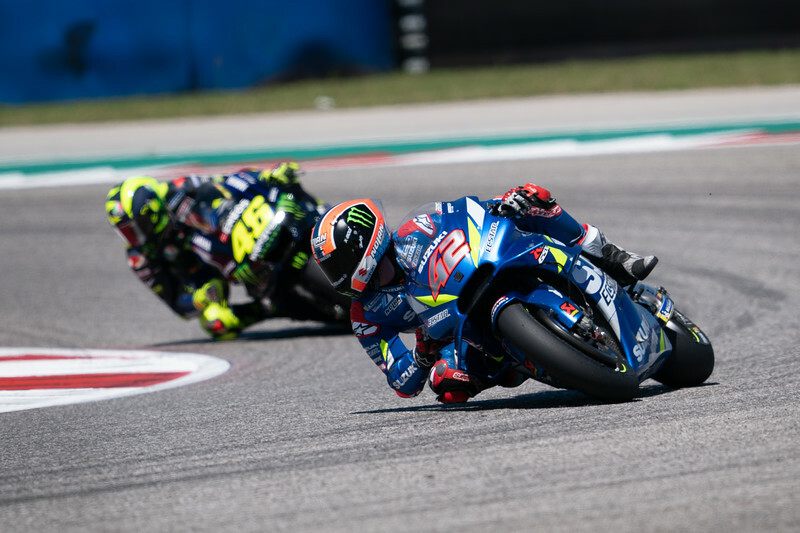 The MotoGP championship started in dramatic fashion once again as a train of riders battled for the lead until the last corner. Marc Márquez tried his best but finished second by less than 0.100s to 2018 winner Andrea Dovizioso. Given his history at the circuit, Marquez leaves pleased with 20 points. After a bruising day on Saturday, Jorge Lorenzo did well to collect 3 points in 13th and get some valuable race time on the RC213V. The MotoGP started in dramatic fashion once again as a train of riders battled for the lead until the last corner. Marc Márquez tried his best but finished second by less than 0.100s to 2018 winner Andrea Dovizioso. Fabio Quartararo: "We'll take lots of positives home"
The French rookie was forced to start from the pitlane after stalling his bike on the warm-up lap. Regardless, he still had an impressive race! 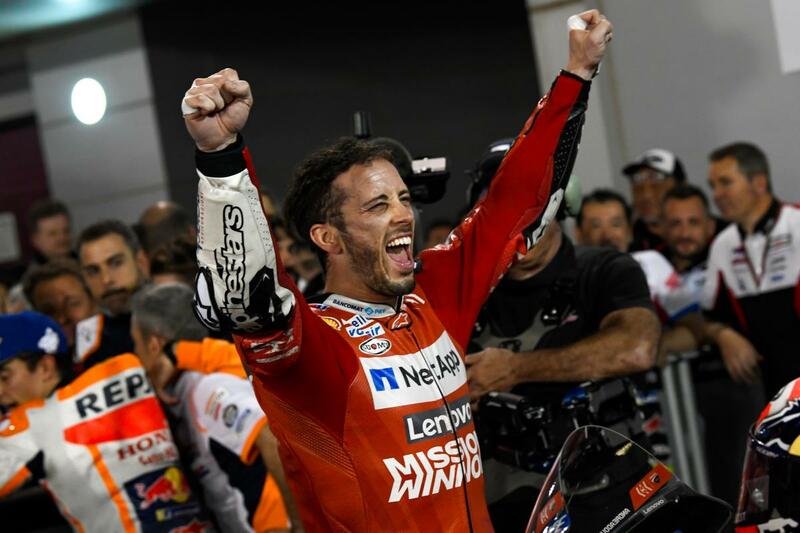 A record-breaking opening weekend at Losail as MotoGP™ begins with an almighty bang! Photo - Great to see the mutual respect between these two incredibly inspiring sportsmen! Great to see the mutual respect between these two incredibly inspiring sportsmen! 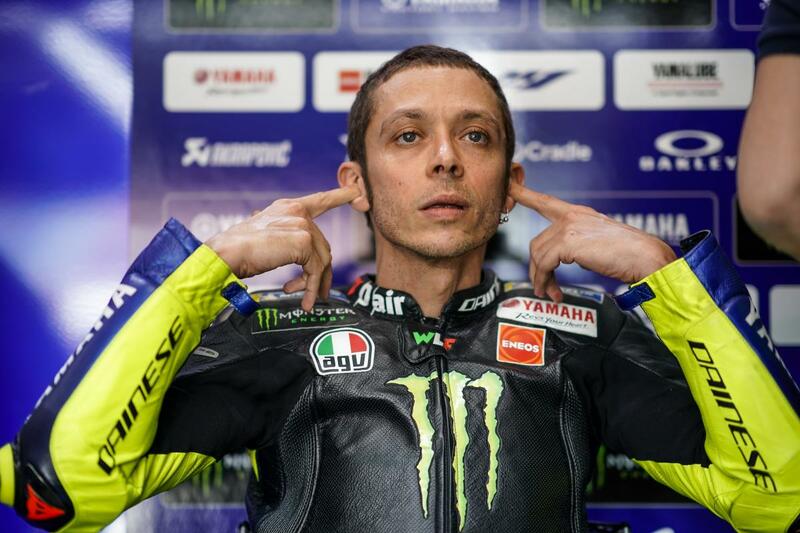 Brave fright from Valentino Rossi VR46 Official to 5th place, whilst Maverick Viñales pushed to 7th. What a start to the 2019 season! 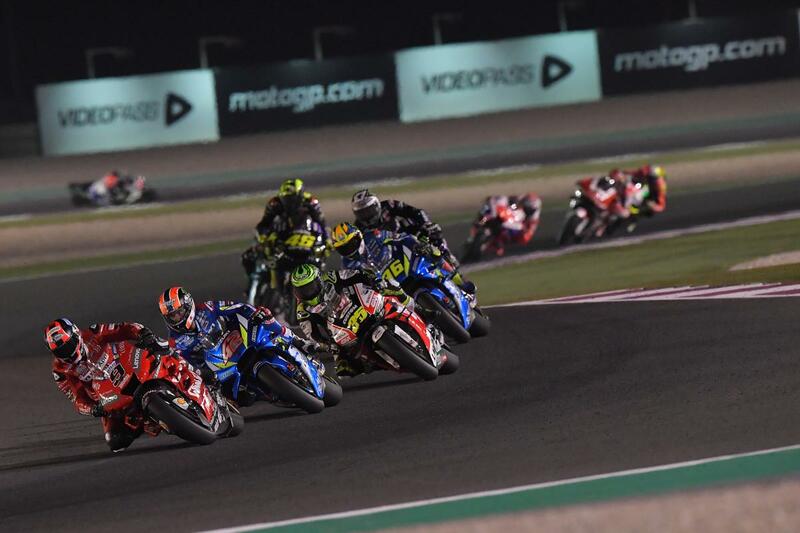 Take a look at how social media reacted to an incredible opening MotoGP™ race of the season at Losail! 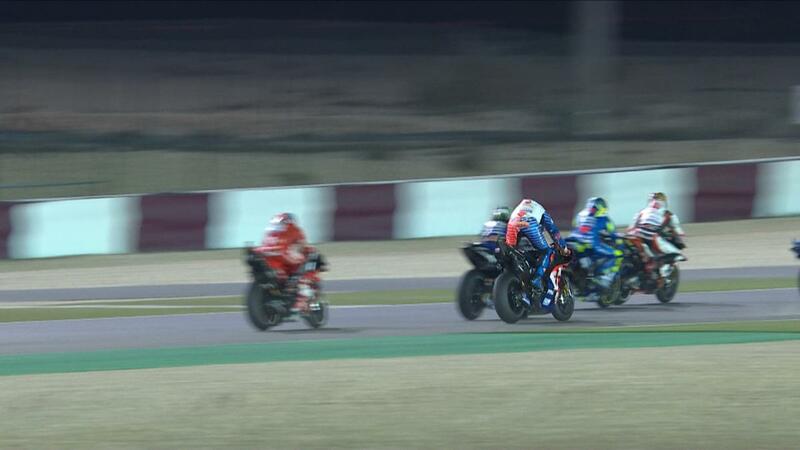 Video - Dovizioso, Miller, Crutchlow... Who did the best Mission Winnow start of the #QatarGP? 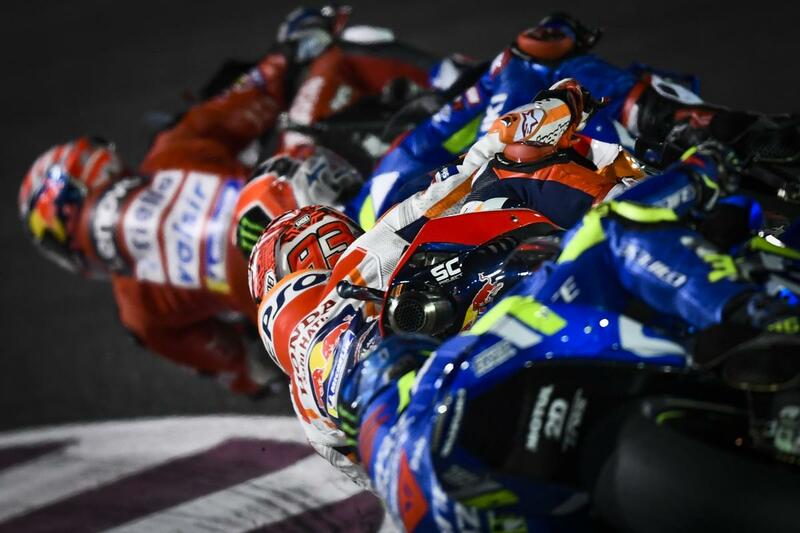 Dovizioso, Miller, Crutchlow... Who did the best Mission Winnow start of the #QatarGP? Hear the words of the first #MotoGP podium guys of 2019! Triumphant Andrea Dovizioso takes stunning victory by 0.023s over Marc Márquez! Powerful performance from Valentino Rossi VR46 Official. Not only did he ride his YZR-M1 from P14 to P5, he finished only 0.600s from the front. Maverick Viñales had a difficult first race of the season. He took the chequered flag in 7th place. Video - Respect between rivals! Andrea Dovizioso and Marc Márquez congratulate each other after another epic duel! Video - Embrace in the glory of victory! Embrace in the glory of victory! 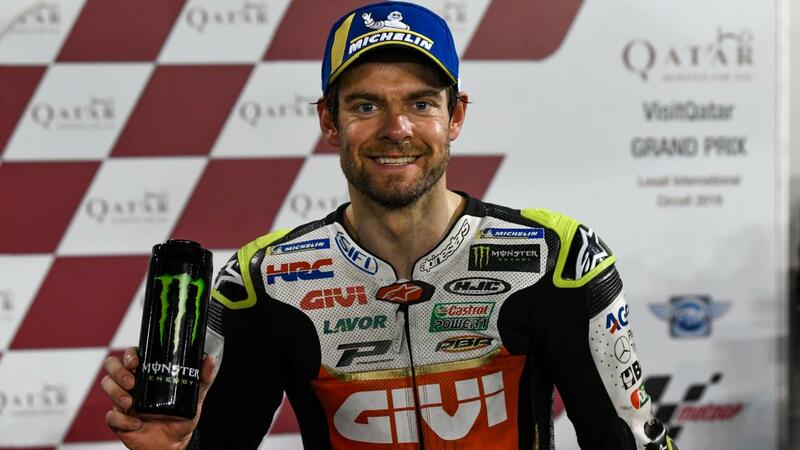 Andrea Doviziosoo does it again in Qatar! Video - WHAT A THRILLER! 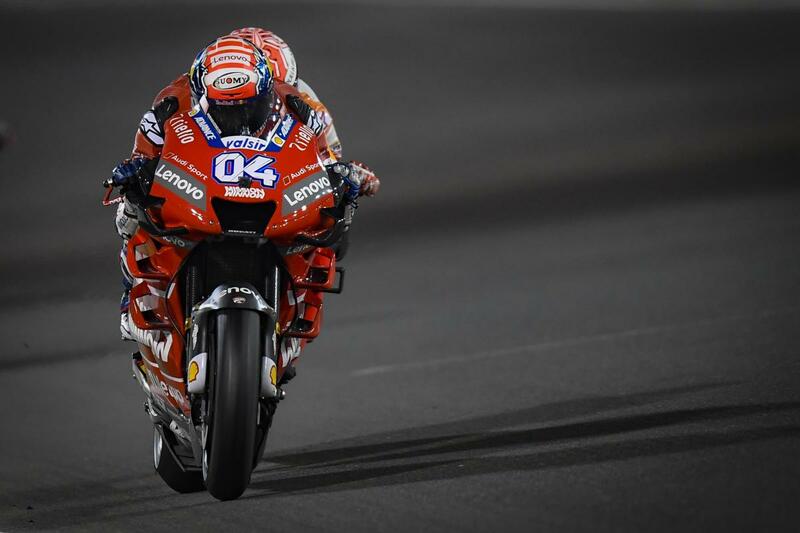 Andrea Dovizioso won the drag race to the line by 0.023s! ⏱? Photo - Finish. Dovi, Mara, Crutchlow, Rin, Rossi, Petrucci. Finish. Dovi, Mara, Crutchlow, Rin, Rossi, Petrucci. Photo - Finish. Dovi, Marq, Crutchlow, Rin, Rossi, Petrucci. Finish. Dovi, Marq, Crutchlow, Rin, Rossi, Petrucci. Photo - What a race.??? 3 laps to go. Dovi, Marq, Crutchlow. Video - #MotoGP IS GO IN 2019! #MotoGP IS GO IN 2019! The Aussie rider had some problems on his satellite Ducati and ended up chucking out his seat! What a way to start the new #Moto2 era! 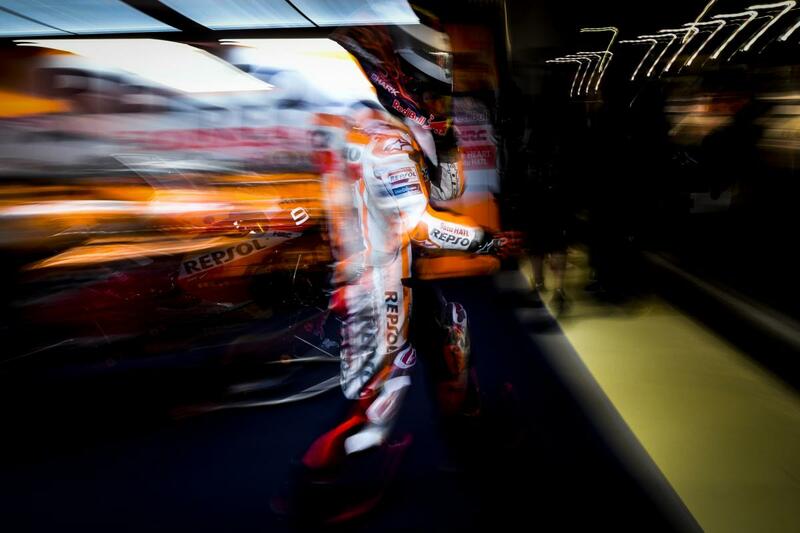 Photo - In a few minutes we will start the first MotoGP race of the season! In a few minutes we will start the first MotoGP race of the season! Video - LIVE : The countdown to the #QatarGP is on! LIVE : The countdown to the #QatarGP is on! Video - An emphatic victory for Lorenzo Baldassarri! An emphatic victory for Lorenzo Baldassarri! Video - Celebrations in parc fermé! Lorenzo Baldassarri soaks up the applause after a nail-biting victory! Two racing legends in one shot! Thank you Lewis Hamilton for coming to visit us at our garage.